He fell in love with his father’s job, developed the interest in security and crime investigation, studied it in school, and then built a top security company. In these difficult economic times, the labour market poses a greater challenge with many Kenyans seeking employment opportunities. They are ready to do just anything to make ends meet. While many continue to navigate through a frustrating job search process, others embark on a journey of entrepreneurship, which for others is a long-term interest initially pushed aside for various reasons. Tilas Ochieng’s case is no different. He started his venture, Top Watch Group, a firm that assesses security threats for businesses while at the same time selling security products and providing solutions to businesses across the country. “TopWatch security is a private security company in Kenya. We deal mainly with residential guarding, events security, security technology and investigations. My inspiration to open a security company purely came through my passion to secure and investigate crime ever since I was young,” says Ochieng. The 25-year-old Forensics investigation ’ graduate from Egerton became a security entrepreneur from a lifelong dream inspired by his father, a former military officer. His love for security grew stronger as he used to spend hours learning about his dad’s gadgets, during which he was able to grab lot of information about security apparatus and management. He then proceeded to pursue degree in the field of security. But when he graduated, jobs were not there. So he decided to establish a security solution firm its main goal is foreseeing, resolving and lessening the security challenges and risk. “Basically our start-up capital was Ksh300,000. It catered for security uniforms, registrations, inventories and office rent. I then partnered with a long-term friend who was also passionate in the security field and he had vast security experience which is a must when one wants to run a security company in Kenya,” he says. He adds that he wanted to bring a unique security service into the market with which it will favour all clienteles. 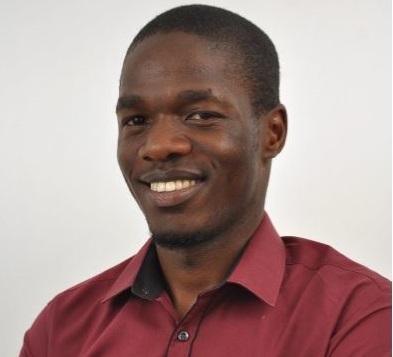 Now, his security firm has grown by leaps and bounds across the region providing effective management of all aspects in the security portfolio which includes breaches, investigations, Guard Force Training andManagement, client management, Integrated Security Management System (IMS), which happens to be Ochieng’s entrepreneurial ventures. “From the company’s formation to the present day, we have succeeded in competitive marketplaces by introducing the latest advances ahead of our competitors. Our clear strategic vision is one of continuous improvement developing and improving our product range; bringing new products to market in the shortest possible time, and supporting our customers with the highest standards of service,” he explains. The firm’s current client portfolio includes Drater Investments Group, opinion track Media Limited, and Kenya Airports Authority among others. “Due to contract agreements, I wouldn’t mention names. What I can confidently say is that, we have partnered with some of the renowned events agency when it comes to events security, I have in my portfolio multi-class world NGOS and residential agencies that we as a company are proud of,” he says. The firm which has employed a staff of 47 permanent employees makes a turnover of over half a million in a good month. Earlier this year, his company introduced a very new service known as TAC-CERT (Cyber Emergency Response Team) that helps in fast recovery whenever a breach happens. The entrepreneur points out trust, respect, loyalty and commitment is what gives the firm an edge over its competitors in the market stating that they regularly empower their employees to succeed. “We perform with a relentless commitment to exceeding many expectations and provide a stable management,” he says. Using marketing strategies through social media, networking &events, partnerships and collaboration with affiliate companies they have been able to stay afloat in the market. “I draw my motivation and inspiration from mainly my father. He has survived through thick and thin while in the Army. He rose from the bottom to the TOP through prayers, hard work and sacrifice. All these are what I emulate to put this company to the Top. Also, I do follow various entrepreneurs who have risen from ground to top. I read books, I network and do watch a lot of CSI movies too,” he points out. With few challenges he encounters like financing the business, Ochieng is however positive that things will run as expected in the long run. “Prayers and believing in God keeps me going. Know what you want to do, don’t do something because someone is doing and his doing okay. Choose your destiny in line with your passion though it’s always overrated,” he says. He further states that, patience and commitment are key and that being penniless is not a condition but a perception. “Just relax, pray, read, plan and step out and work with the little you have” he encourages. Ochieng has seven years working experience in the investigations and security management industry. Top Watch Security Group has successfully expanded across the country, as an innovator in the security industry, Ochieng’s efforts have won him the honour of being Securex 2016 Entrepreneur of the Year for the East African Region.He was presented his award in Impact solutions Africa Group business-to-business products and services.